Besides natural and artificial trees, what other options are out there that can be low-cost? Well, today I might have a good answer to that! 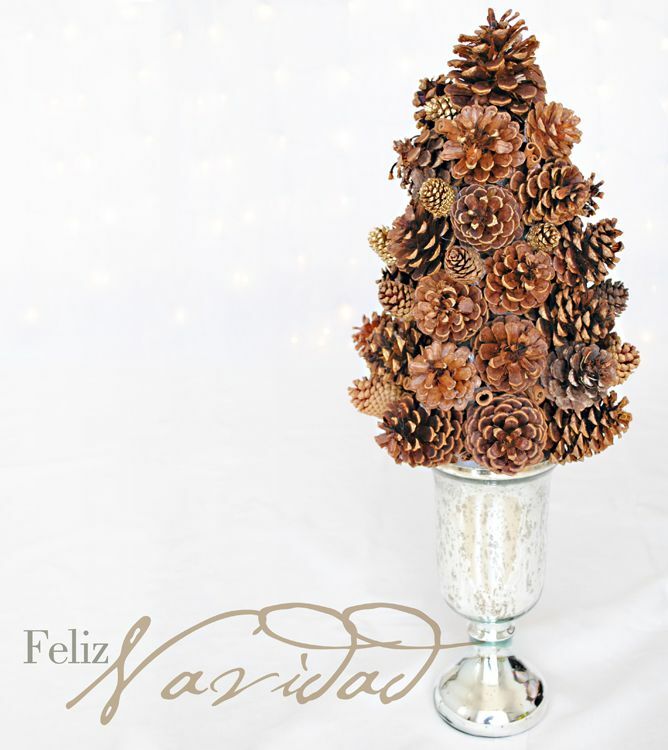 I’m going to try to do an ecological Christmas tree with some natural pine cones! After my previous post, on using pine cones for a shelf display, I decided to use the remaining ones to make a different kind of Christmas tree. 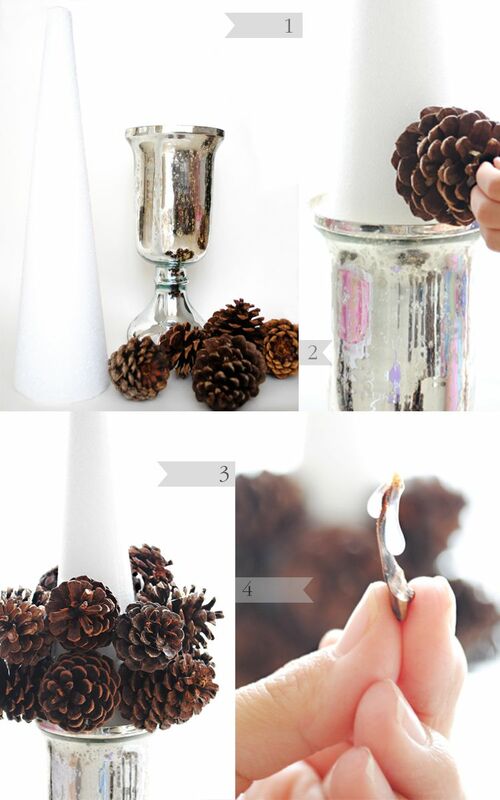 All you will need for this project are the pine cones, a beautiful vase, a cone shaped Styrofoam, and a hot glue gun. To start I placed my foam inside the base to get a better idea of where to pasting the cones. I organized the pine cones (biggest to smallest) to help me out when gluing. I started with the biggest on the bottom and make my way up where I used the smallest. Don’t worry about the small white spaces were the foam can be seen. For this you can either used the little seeds that fall from the cones to fill these spaces (Figure 4), or also used smaller cones that fit these areas. Another great option would be to glue pieces of cinnamon to add to the decoration of the tree. 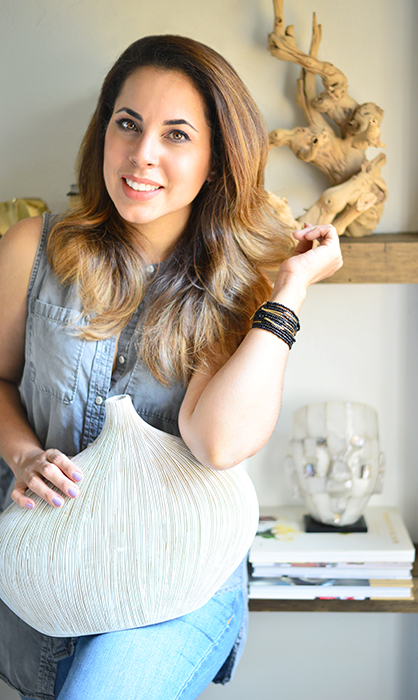 At the end you will end up with a beautiful work of art and the added bonus of a delicious fragrant. As always, I advise you to try different options. I would have loved to use some old Christmas balls instead of pine cones and in exchange of cinnamon, some anise seeds. Everything is possible!